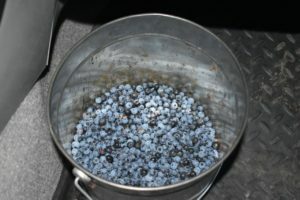 The first Michigan Blackberries of the season. Since I was young, I drew culinary inspiration from myriad sources–many of them random. I loved to read menus in hotel phone books when I traveled, marveling over descriptions of foods I could envision from the photos and short explanations. I read cookbooks like some read romance novels, paying less attention to amounts than combinations of ingredients, flavors, tastes. I’m no good at physics or chemistry, but the alchemy of flavor fascinates me. The internet has given me such an array of resources that I’m somewhat overwhelmed and find myself going back to hard copy cookbooks for inspiration. 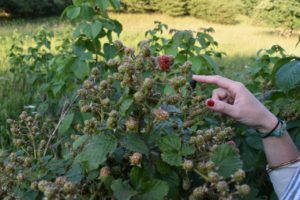 Instagram has provided a wealth of photographic ideas, along with descriptions of ingredient lists that are wonderful guides. 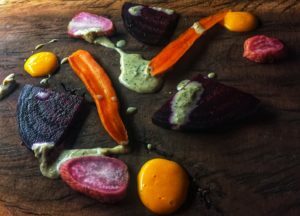 So much of cooking is about experimentation and improvisation. Listening to your senses. 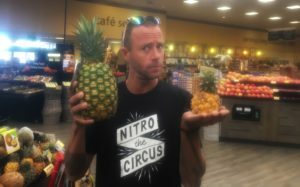 When I read ingredient lists, it teaches me what flavors other chefs are putting together, what might work, and ways I might take both traditional and original flavor pairings and make them my own. 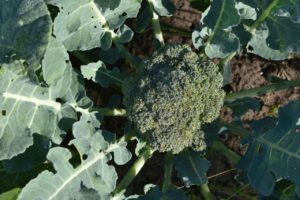 Environment can also be a huge inspiration for cooking. 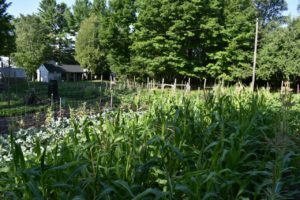 When I’m in Michigan in summer, I have lots of fresh fruit and garden vegetables to inspire meals. 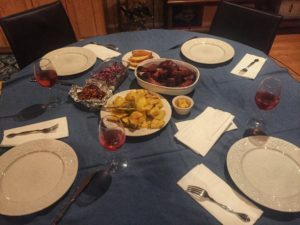 Michigan winters make me improvise with available produce–carrots, beets, potatoes, cabbage, rutabagas–that my father keeps in his cold storage. In California, I came across tiny veggies in the grocery store that delighted me. I’d never seen anything like them, and they prompted a delicious white bean and sautéed squash soup. 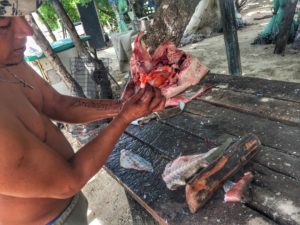 On Isla, I have fresh seafood to glory in. Look around and see what’s local, and fresh–let those ingredients be your guide. This post’s purpose is to inspire. 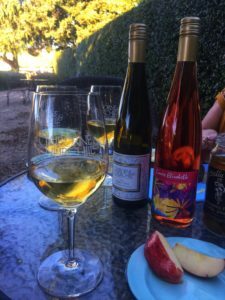 My travels between Michigan, Isla, and California have afforded culinary experiences I wouldn’t have believed possible a year ago. 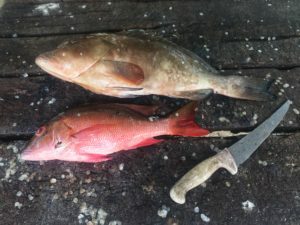 Fish Market Fresh Grouper that made the most delicious sushi and ceviche. It doesn’t get any better than watching your fresh caught grouper get filleted, Caribbean-side. 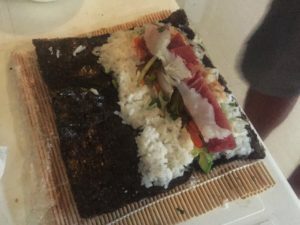 Homemade sushi with ahi tuna and fresh grouper from our local fish market! This Poc Chuc Restaurant is just down the road from us. 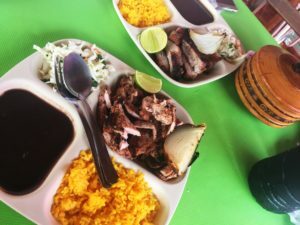 It’s cheap, has delicious sides, and the grilled meat is smokey and full of flavor. Yummm. 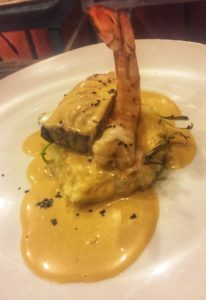 Lolo Lorena’s elegant fresh shrimp and fish with a creamy sauce made from shrimp broth reduction. 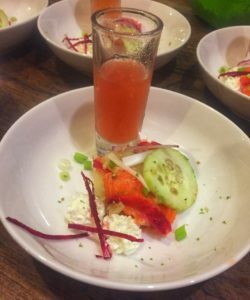 Lolo Lorena’s gravlax with goat cheese and tomato water. 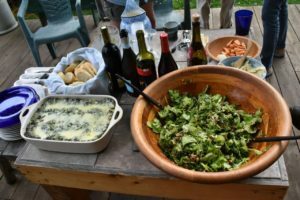 Salads are a thing in my family–and they’re one of my favorite foods. I crave them. 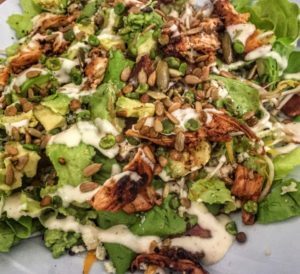 This salad is made with Bibb lettuce, avocado, grilled chicken, bean sprouts, roasted sunflower seeds/pepitas, and blue cheese. 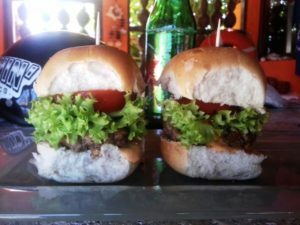 Slow Down Sliders–one of our favorite island meals! Part of Papa Mills’ beautiful garden. I’m blessed with a daddy who raised us on homegrown vegetables. Thank you Papa Mills. 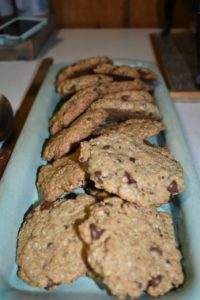 Homemade Chocolate Chip Oatmeal Cookies. Mamma loves to make cookies (and eat them, but only in the morning because chocolate keeps her up at night). 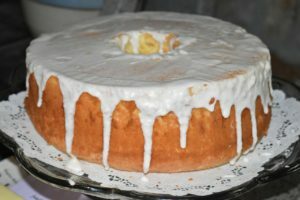 Mamma Mills made Grandma Harkness’ Angel Food Cake recipe for my birthday. My favorite. 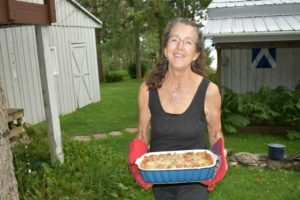 My birthday dinner this summer: Mills Salad and two kinds of lasagna. Wow. 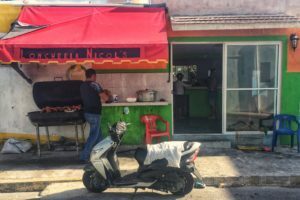 This BBQ Chicken place around the corner from our casa sells a whole chicken, black bean soup, pasta soup, noodle salad, and sauces for 150 pesos out the door–roughly 7 dollars. So. Good. Before he packs up your chicken he adds extra BBQ sauce and caramelizes them on the grill a few moments longer. Yes. 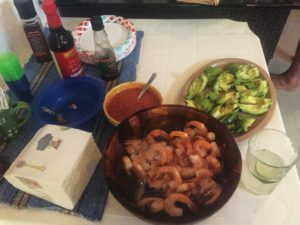 Ryan loves to make fresh shrimp cocktail and I love to eat it. We can’t find horseradish down here, so we ask friends to pirate it to us! 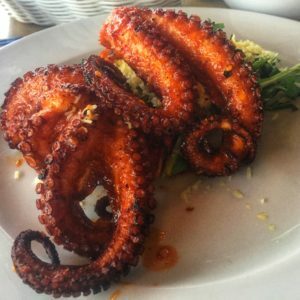 Delicious Mar-Bella Octopus grilled with a red diablo sauce and served on a bed of arugula. 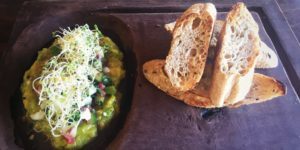 Chef Nick’s avocado toast. The flavors here are fresh, versatile, and perfectly balanced. 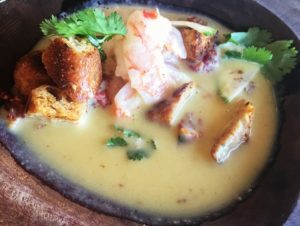 Chef Nick’s cream of corn soup–it tasted like the essence of late-August Michigan summer sweet corn. Ryan loves sweet/savory salads. 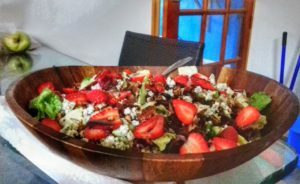 Fresh strawberries, Bibb lettuce, blue cheese, candied pecans, and a maple-balsamic reduction. Yum. 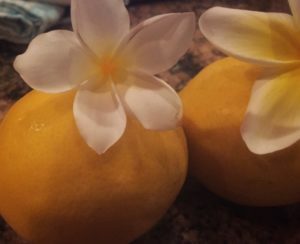 Fresh lemons and lemon yellow plumeria from Ryan’s mom’s yard in California. Swoon. Delicious BBQed ribs, grilled pineapple, fresh cornbread with Yucatán honey butter, sweet potatoes and coleslaw. Yep. 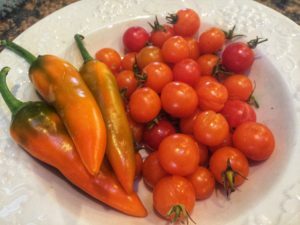 California fresh chili peppers and sungold tomatoes, which are my favorite. I eat them like candy. 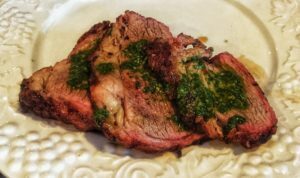 Perfectly medium rare skirt steak with chimichurri sauce. 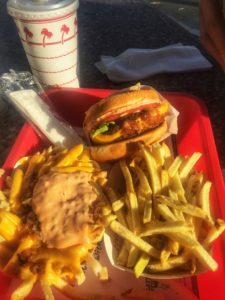 My first In and Out Burger with Animal Fries in LA. Oh yeah. 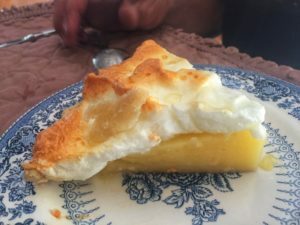 When we visited her in California, Grandma Walters made us homemade Lemon Meringue Pie from her lemon trees. 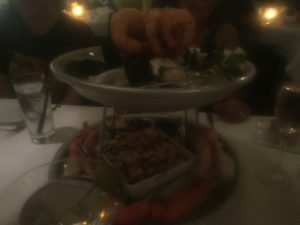 This photo is way too dark, but I had to give credit to the amazing seafood and especially the BC oysters we ate on our California trip. 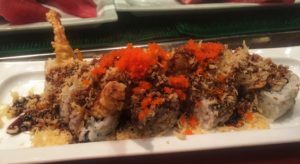 This dressed up Tiger Roll was one of the best I’ve ever had. 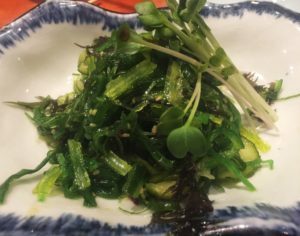 Seaweed Salad–one of my all time favorite foods. It’s a green/texture thing. 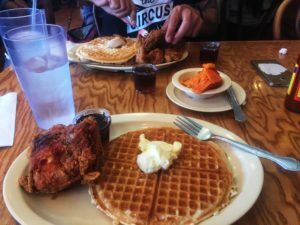 Roscoe’s Chicken and waffles with a side of candied yams. The yams were like eating the best pie ever. 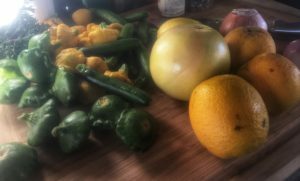 All the citrus was picked fresh and the tiny veggies I couldn’t resist at the grocery store. I made a delicious bean and sautéed baby squash soup with them. 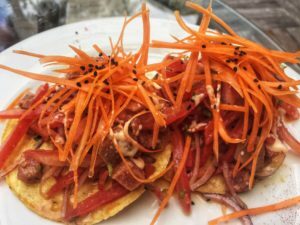 I’ve learned to love the tuna tostada living in Mexico, and at Isla’s beautiful and delicious North Garden Restaurant, they serve one of the best I’ve had. 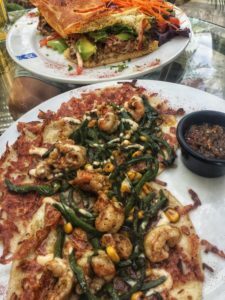 One of the best meals I’ve had on Isla, these shrimp tacos from The North Garden with grilled cheese, poblano peppers, corn, and a smokey salsa and Ryan’s steak sandwich carried the day. 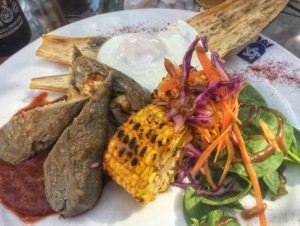 This beautiful breakfast of blue corn tamale and lobster served with salad, grilled corn and an overeasy egg is delicious and such a lovely contrast of colors and flavors. Another win from The North Garden! 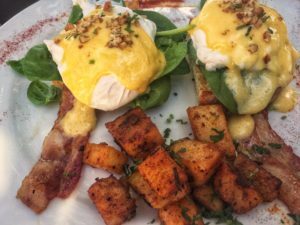 Can’t say enough about how tasty this Eggs Benedict was–The North Garden again. Isla’s restaurants have taught me how versatile this dish really is.